Do you think you may have an under active thyroid? Or perhaps you suspect your thyroid is showing over activity? The below questionnaire may go some way in shedding light on whether further investigation is required. Please keep in mind that this questionnaire does not constitute a diagnosis; functional pathology testing is a more accurate indicator for thyroid conditions. If you scored above 8, you could be suffering from a thyroid that is exhibiting over activity, this is also known as hyperthyroidism. If you scored above 3 in this section, you could be suffering from an under active thyroid, known as hypothyroidism. 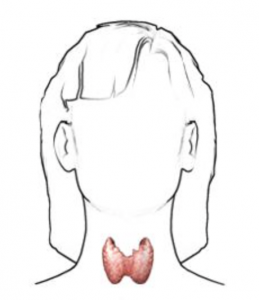 Emed has previously explored the thyroid and its related pathology in the article The Butterfly Effect – How Healthy is Your Thyroid? Click here to read a more detailed explanation on the thyroid and its related conditions. Emed recommends getting tested if your score is above 3, including a free T3 and TSH. Emed offers both a standard and comprehensive thyroid hormone profiles that determine the health of your thyroid. The standard thyroid hormone profile tests for TSH, free T3 and free T4. The comprehensive thyroid hormone profile measures the levels of unbound free hormones (thyroid stimulating hormone, free T3, free T4, reverse T3 and thyroid antibodies) which are available to the tissues via a blood test, and reflects a true measure of the body’s metabolic rate. If you have any questions regarding your answers from the above questionnaire, talk to one of our Emed practitioners today. The Butterfly Effect – How Healthy is Your Thyroid? Just read through the questions and have a higher score than 8. How do I get to the bottom of these symptoms? Thyroid?or what ever? Hi just responded to all the questions twice, first time realised I wasn’t logged in and thought maybe that’s why I could not find anywhere at all as to how to calculate my score – like a button I click on to add it all up for me. You’ve given no instructions (that appear today anyway on this page) as to how assess each answer and give it a score if I have to add it up…. so how did the last person who left a response (almost a year ago and I see you haven’t responded to them so is this article even monitored anymore?) work out they were an 8? How do I work it out? Thanks. Hi Madeleine, simply add up the numbers you have ticked for each question. Feel free to contact us directly on 1300 00 3633 to discuss your thyroid score and ways to promote proper functioning of your thyroid.